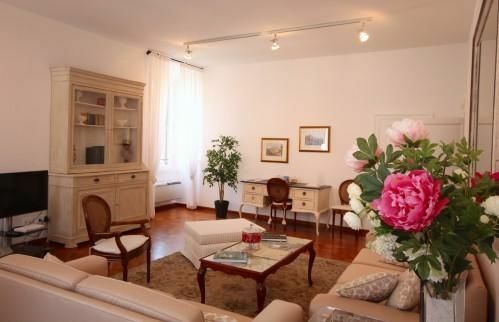 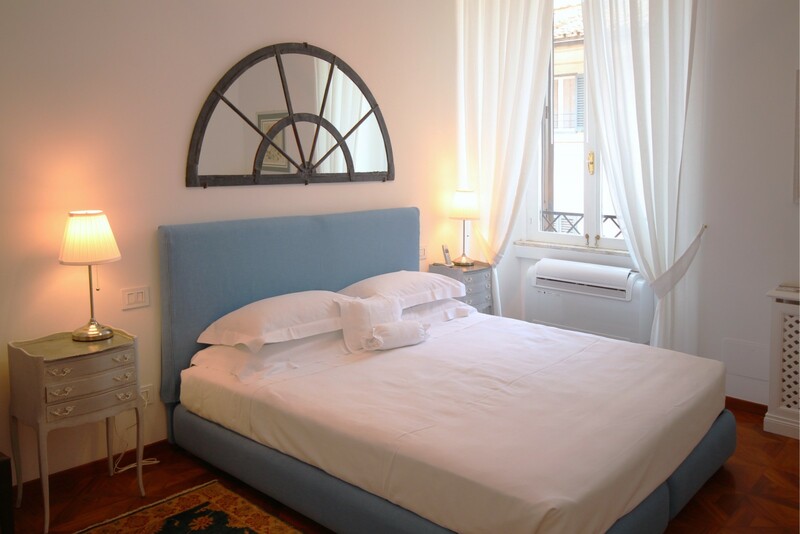 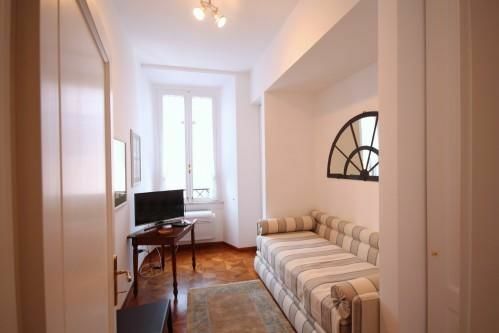 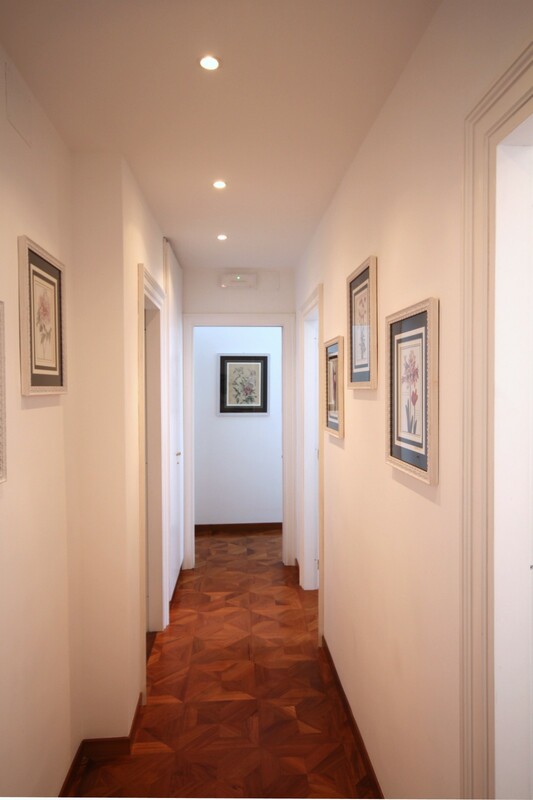 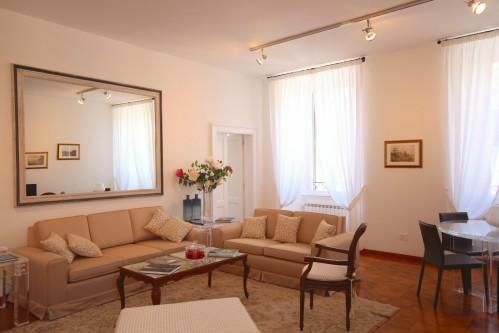 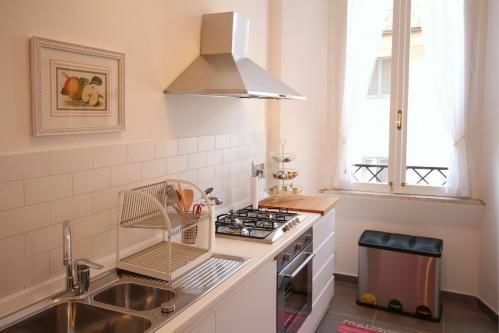 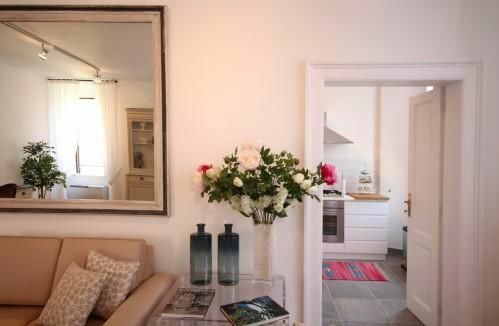 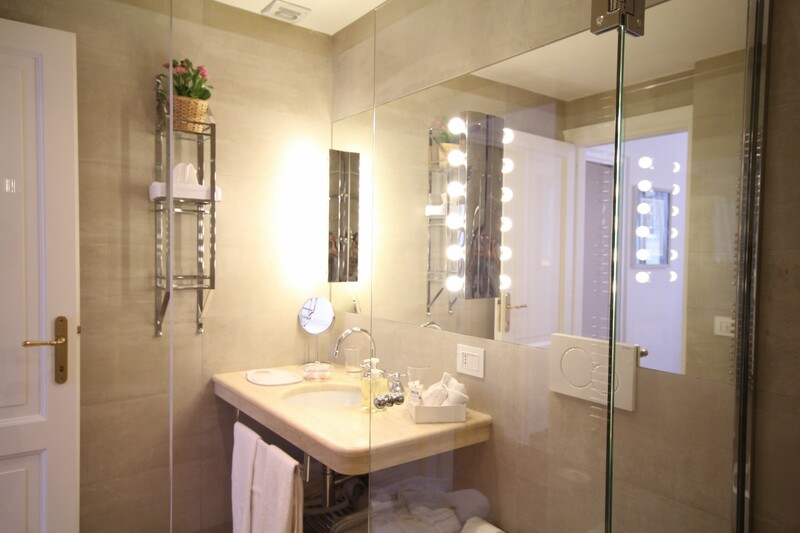 For those who are staying in Rome for a longer period of time and would like to have a more permanent base—who like to set up house for a while and do a little cooking when not dining out—we have our recently refurbished apartments located in the building adjacent to Villa Spalletti Trivelli. 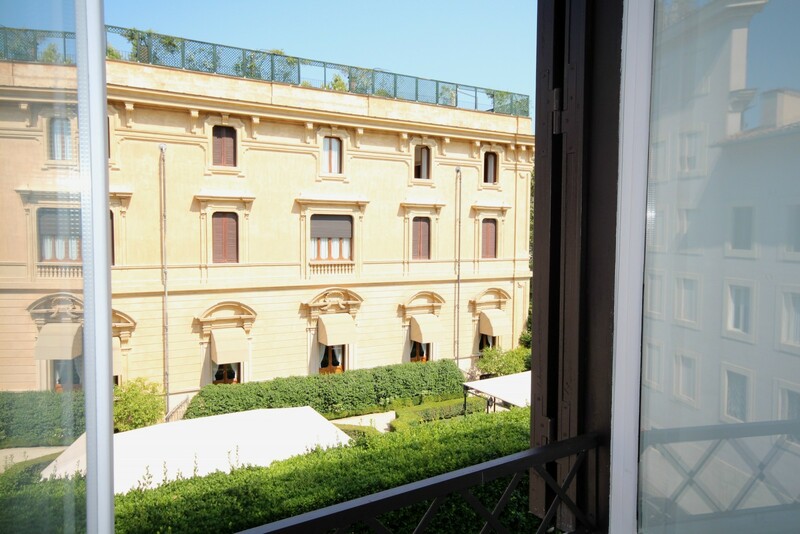 Fully-equipped and beautifully furnished with original paintings and antique items from the count's personal collection, the two luxurious apartments measure 120m2 and 100m2 respectively and have a view over the villa’s private gardens. 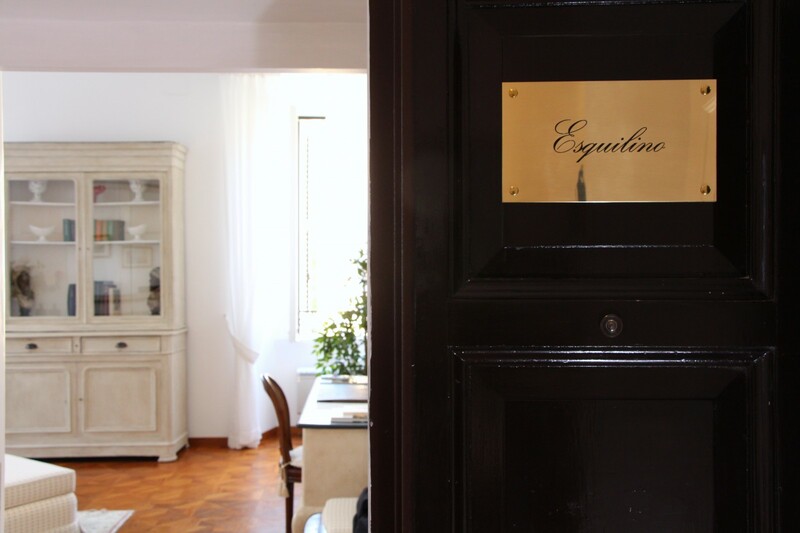 When staying in the apartments, guests benefit from all the usual hotel services such as the rich breakfast buffet in the villa's dining room and housekeeping, as well as free access to the villa's common areas, wellness centre, gym, bio sauna, relaxation area and so on. 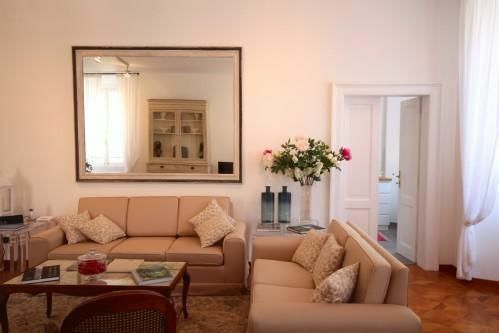 Bright and cosy living area, perfect for winding down after a long day, watching a movie or simply reading a good book.